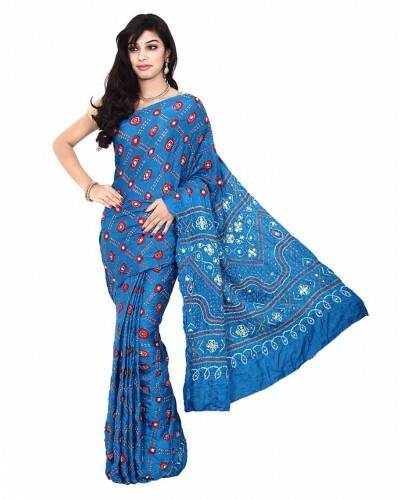 This blue gajji silk saree comes with beautifull tie and dye bandhani on it. The Saree includes 5.6 meter total fabric with blouse. The first wash of the garment should always be dry-cleaned then normal wash. 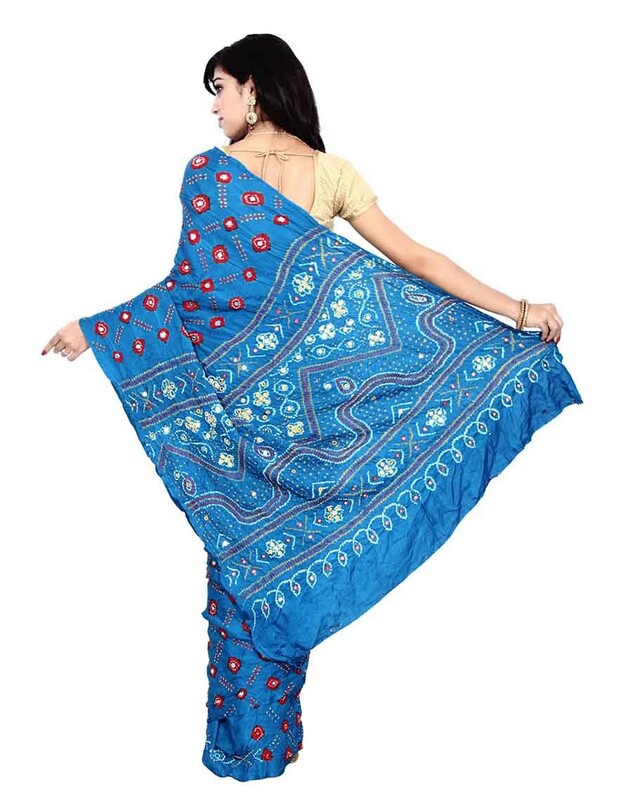 The art of Bandhani is a skilled process technique, literally meaning tying up. In this tie dye process, fabric is tied tightly with a thread at several points, thus producing a variety of patterns. 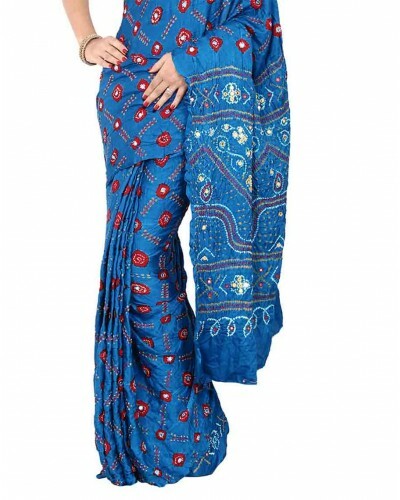 Indian Bandhani began about 5000 years ago and is also known as Bandhej. 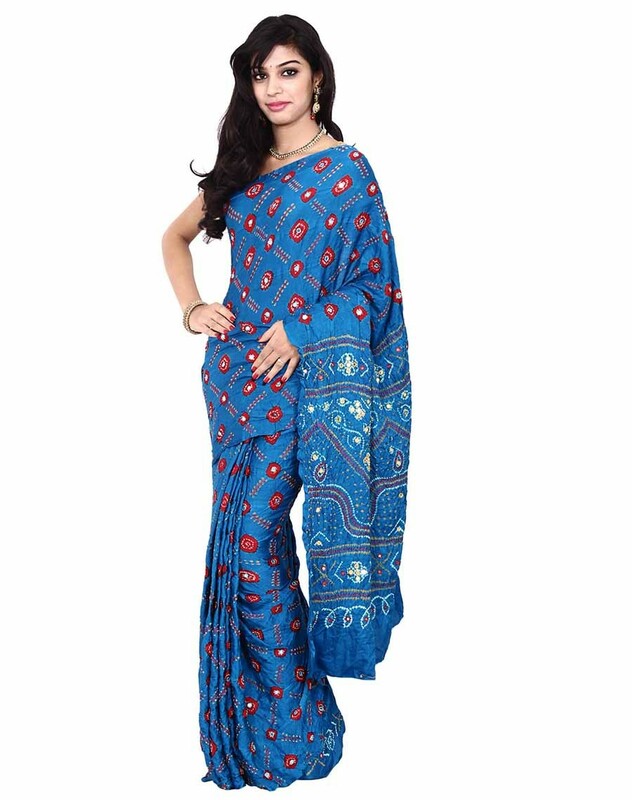 This is a bandhani Cotton Satin saree. It comes without a blouse piece.Enhance your beautiful look with this designer bandhani saree and gain the attention of all who follow its diverse prints and colors.Style it with minimal jewellery and high heels. 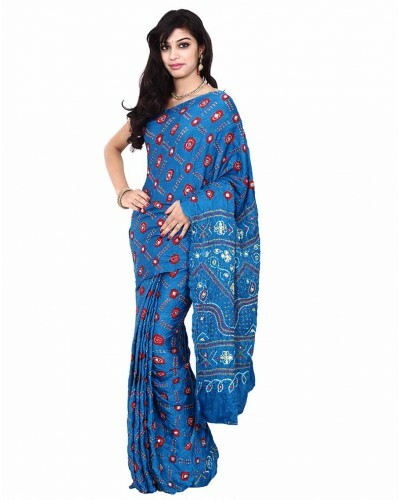 It is traditional wear and can never go out of fashion especially during festive occasions and events.